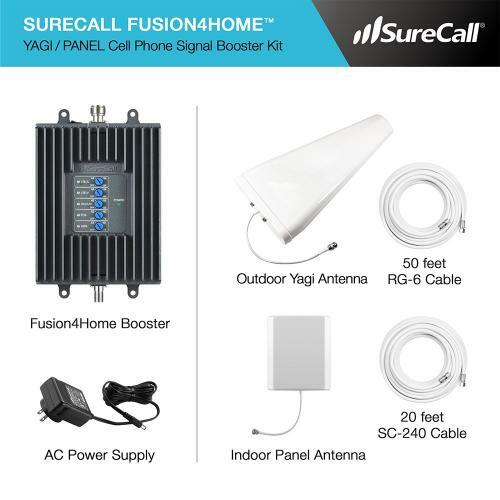 SureCall [Fusion4Home] Voice, Text & 4G LTE Cell Phone Signal Booster Yagi / Panel Kit [Homes up to 4,000 sq ft] @ AccessoryGeeks.com w/ Free Shipping! 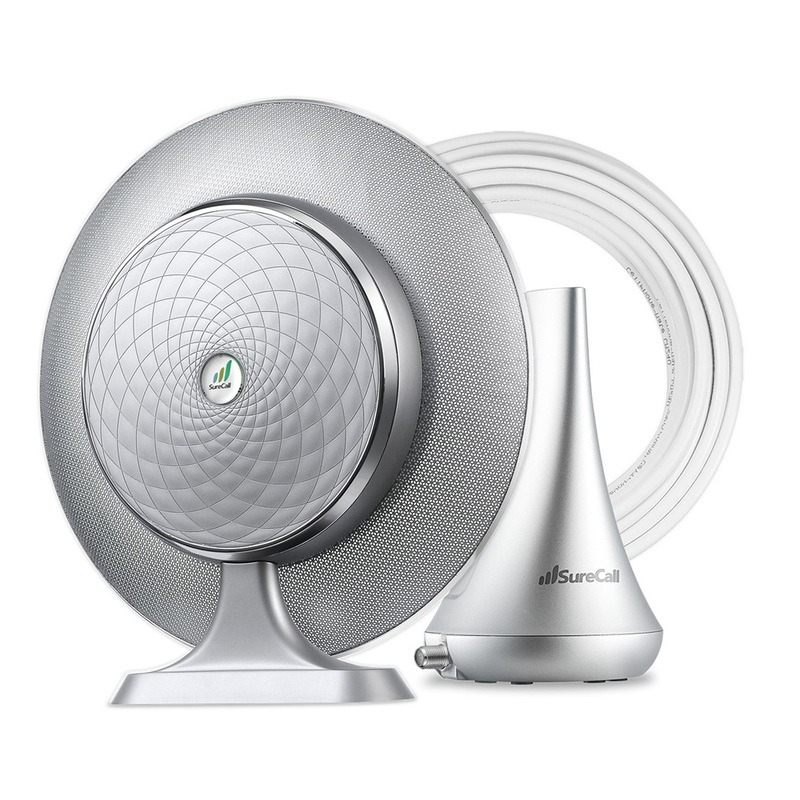 SureCall cell phone signal booster for home works for all 2G, 3G, 4G cellular devices. SureCall Fusion4Home Yagi exterior antenna with Panel interior antenna kit (SC-PolyH-72-YP-Kit) covers a small home, up to 4,000 square feet. 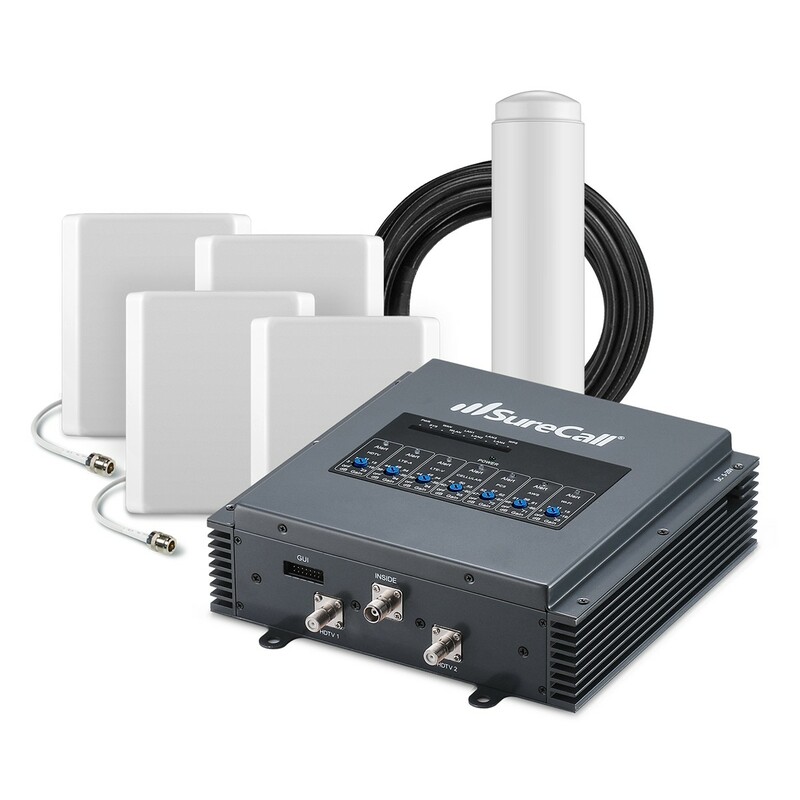 SureCall cell phone signal booster for home works for all 2G, 3G, 4G cellular devices. SureCall Fusion4Home Yagi exterior antenna with Panel interior antenna kit (SC-PolyH-72-YP-Kit) covers a small home, up to 4,000 square feet. Part number SC-PolyH-72-YP-Kit. SureCall Fusion4Home is an all-carrier cell phone signal booster designed for home and office use. 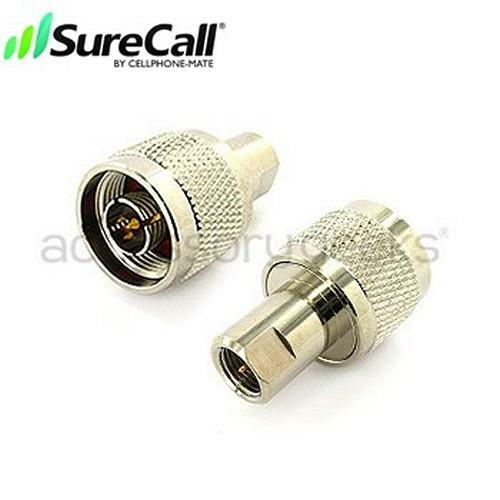 It enhances voice, text and 4G LTE data signals for all North American cell carriers. 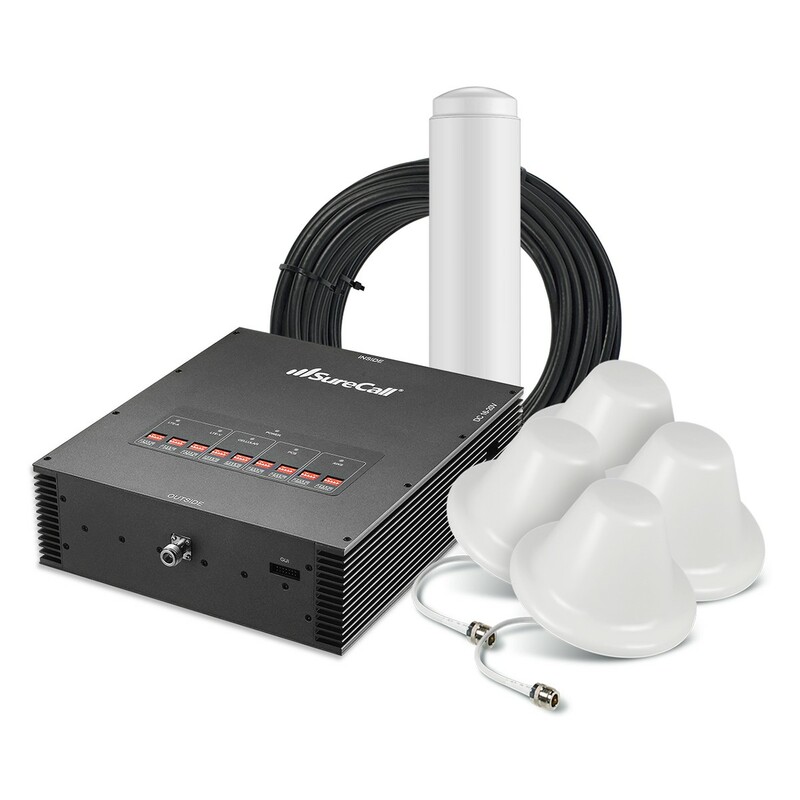 Fully configurable for all indoor environments, Fusion4Home booster ensures enhanced call clarity and increased signal strength for multiple simultaneous users, covering up to 4,000 square feet. Does your entire home seem like a cell phone dead zone? 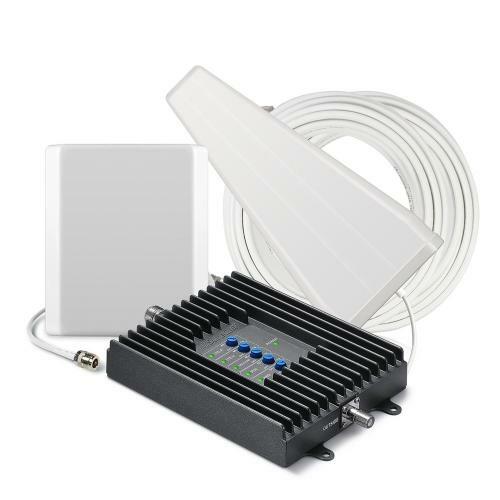 If your mobile devices never seem to work their best, the SureCall Fusion4Home All-Carrier Cellular Signal Booster Yagi Panel Kit for up to 4000 sq. ft. will help you to enjoy better voice, 3G and 4G LTE use, even if your signal outdoors is very weak!. 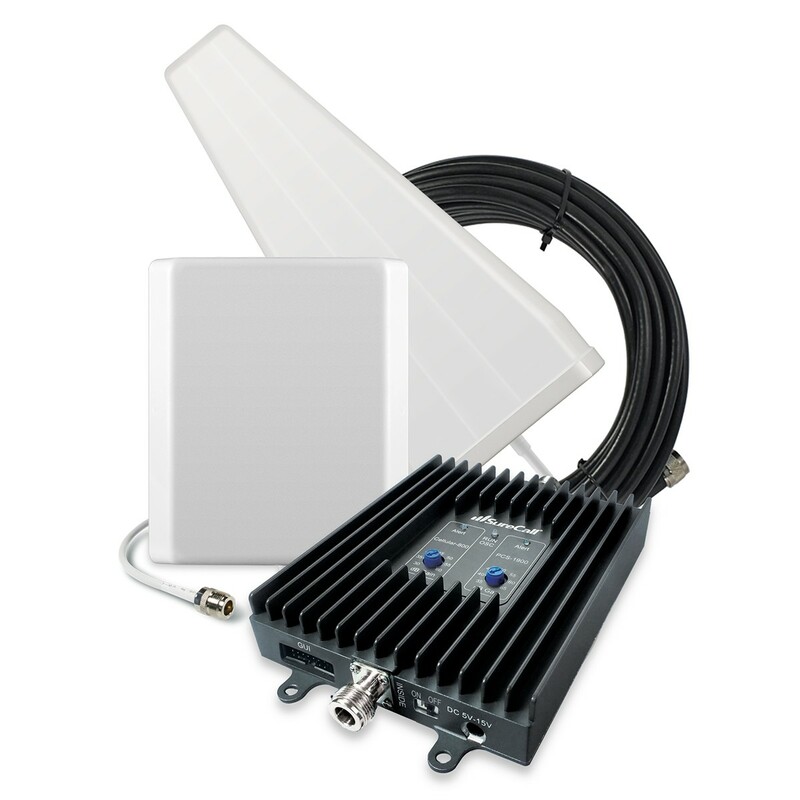 Sure Call Fusion 4 Home Yagi/ Panel Kit is a powerful signal booster for cell phones calls and texts, as well as 3G and 4G LTE connectivity. Once installed, all mobile device users within range can enjoy increased data performance and cell phone signal. 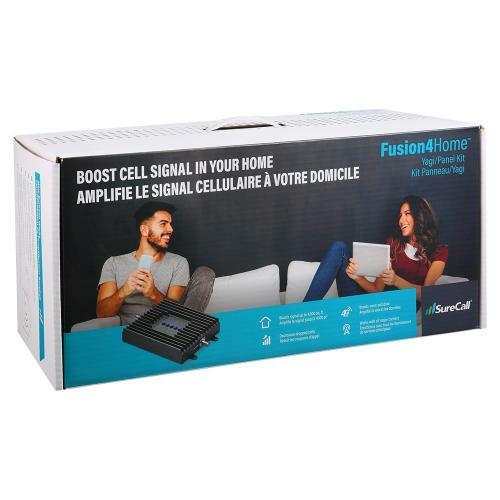 Using patented multi carrier technology, the Sure-Call Fusion-4-Home All-Carrier cellular signal booster with exterior Yagi and interior Panel antenna amplifies the signal of cell phone towers located up to 30 miles away, by up to 72 decibels. An amplified signal allows you to talk with better sound quality, load web pages faster, stream with fewer interruptions, and receive and send texts and emails faster. You will even notice improvements in the battery life of your devices, and in the number of dropped calls that you may currently suffer. 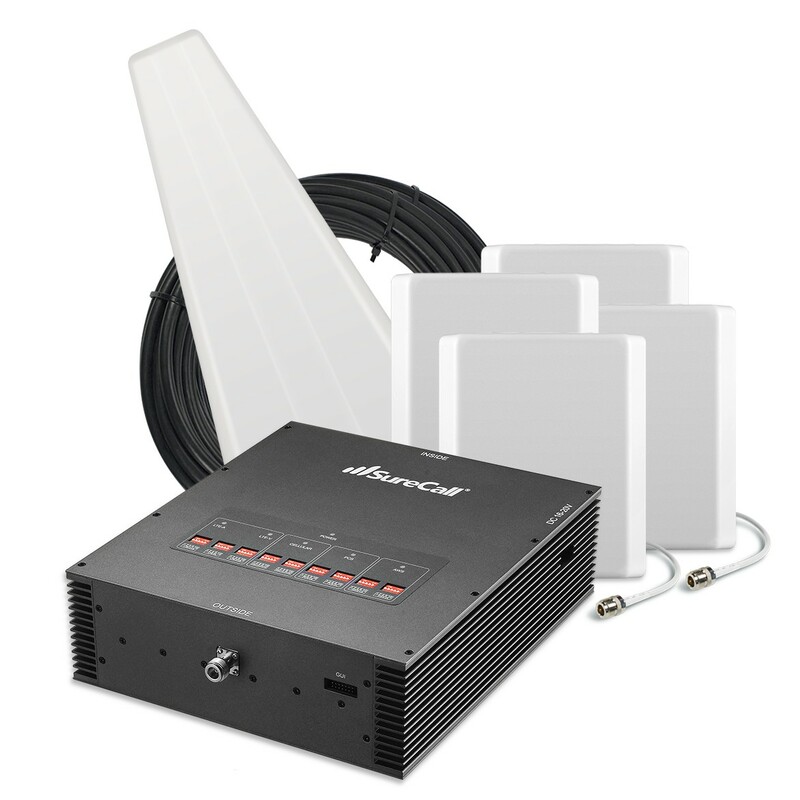 The uni-directional Panel antenna gives strong directional signal, so is best utilized on long corridors, or for use on multiple floors of your home or small office. 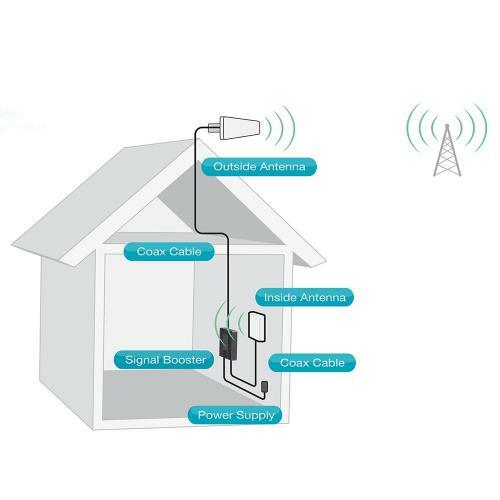 The Yagi outdoor antenna when pointed to nearest cell tower provides signal boosting for areas that usually have weak signals of just one bar. 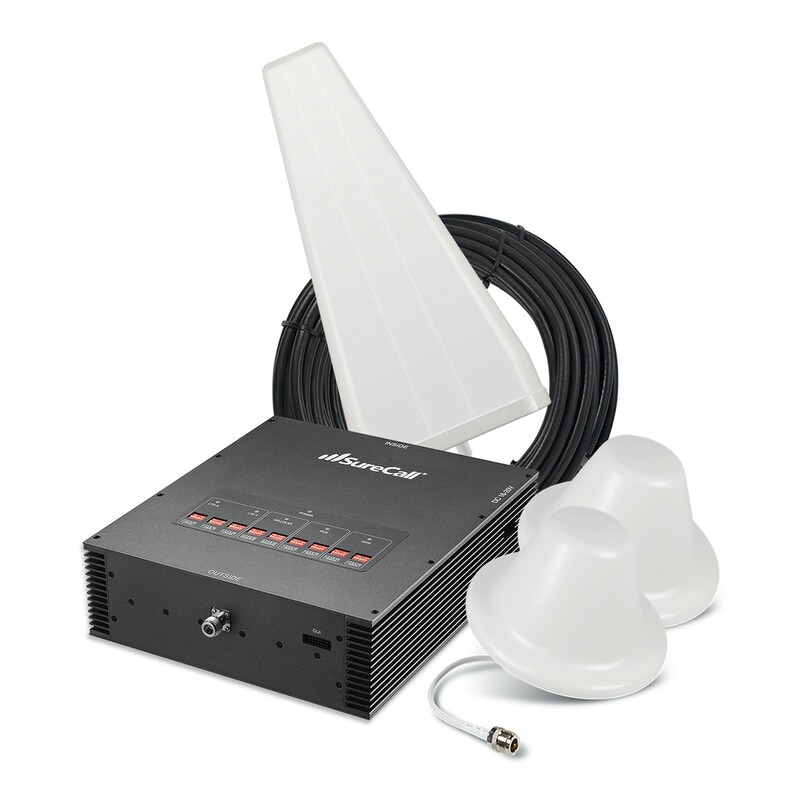 The signal booster is housed in a metal casing for extra durability and performance. 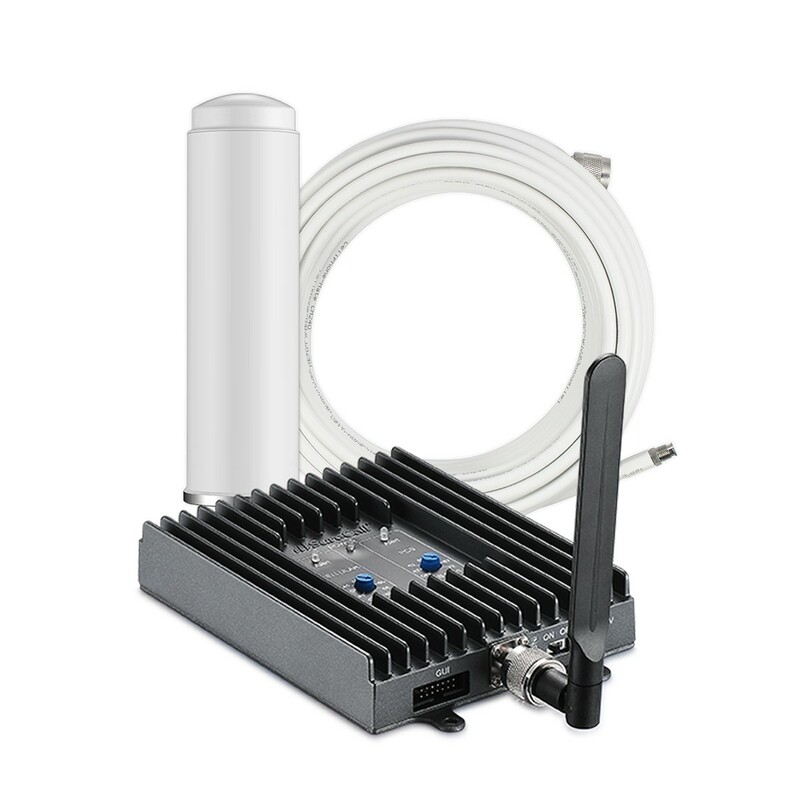 SureCall Fusion For Home is an ideal kit for boosting your mobile and internet across your home and office when signal is very weak.. Kit includes: Fusion4Home Booster, outdoor directional yagi antenna, indoor directional panel antenna, 50 feet of RG-6 cable, 20 feet of SC-240 cable and power supply.